The Access to Justice Commission is partnering with the American Bar Association’s Center for Pro Bono to survey Arkansas attorneys about your views on pro bono service. Whether you currently do pro bono or not, we want to hear from you! 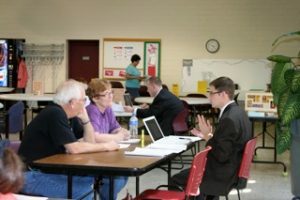 The results of this survey will be used to help us better understand how we can provide meaningful pro bono opportunities to attorneys across the state. The survey takes about thirty minutes to complete. Your time is valuable. If you complete the survey and provide your name and contact information (which will not be linked to your answers), you will get one free registration pass for a lunchtime April webinar on the state of access to justice in Arkansas and related ethical rules (1 hour of ethics CLE credit pending). You will have two dates to pick from, and we will contact you to provide registration information in March. If you have any questions, please contact our Program Coordinator, Jordan Rogers or call 501.492.7174. Please share this survey with other attorneys! Please complete survey by Feb. 28th. The Arkansas Supreme Court has announced the appointments of Justice Robin Wynne and Circuit Judge Robert McCallum to the Arkansas Access to Justice Commission. Justice Wynne succeeds retired Arkansas Supreme Court Justice Annabelle Tuck, and Judge McCallum succeeds Judge Leon Jamison. We are grateful for the tremendous contributions that our outgoing commissioners have made to our efforts to improve access to the civil justice system for all Arkansans. The UALR William H. Bowen School of Law and Professor Frances Fendler announced the appointment of two law students who will serve as inaugural Fendler Fellows, according to the most recent edition of the Bowen Alumni Connection newslettter. Lindsey Kuehn and Furonda Brasfield will each serve a semester for the coming 2013-14 year. The Oscar and Patricia Fendler Access to Justice Fellowship, awarded to a law student for each academic semester, is supported by the Oscar and Patricia Fendler Endowment for the Advancement of Ethics and Professionalism established at UALR by Professor Fendler and her brother, Tilden P. Wright III. Arkansas Access to Justice Commission member Bill Waddell is the 2013 recipient of the Arkansas Bar Foundation‘s Equal Justice Distinguished Service Award, according to the Foundation’s Executive Director Ann Pyle. The award, which was presented at a June 12, 2013 awards banquet, is given each year in recognition of commitment to and participation in equal justice program for the poor, including pro bono efforts through legal services programs. Mr. Waddell is a partner with Friday, Eldredge & Clark, where he leads the firm’s Commercial Litigation and Regulation Practice Group. Drawing from his leadership and experience with the practice group and his dedication to pro bono service, Mr. Waddell has committed to providing two attorneys from his practice group to lend their legal expertise twice monthly in the town of Clarendon where the Mid-Delta Medical-Legal Partnership holds a free legal clinic for area residents seeking legal assistance. He is also a member of the Volunteer Organization for the Center for Arkansas Legal Services (VOCALS) and the Equal Access to Justice Panel (EAJP). In the past year alone, he has performed over 120 hours of pro bono service for individual clients—this in addition to the outreach work he has put into the Clarendon MLP. Over the course of his career, Mr. Waddell has handled over 300 pro bono adoption cases for Bethany Christian Services of Arkansas, which honored him in October 2012 with a service award during the 10th Annual Bethany Golf Classic. He has also assisted with several private pro bono adoptions, charging only court costs. In February 2013, Mr. Waddell was honored with the Living Legend Award from Philander Smith College for his social justice work. Deeply committed to his faith and his church, Mr. Waddell serves as legal counsel to the Arkansas United Methodist Church’s clergy and is presently the national legal advisor to the United Methodist Church’s Council of Bishops. He has further served his church as Chancellor to the Arkansas Conference of UMC, as the Volunteers in Mission Coordinator, and currently teaches a young adults class at St. James UMC in Little Rock. Since his appointment to the Arkansas Access to Justice Commission in 2008 by bar president Rosalind Mouser, Mr. Waddell has led a number of statewide efforts to expand access to justice. He took a leadership role in developing and implementing the first statewide campaign to raise significant private funds for legal aid. His days of devoted work on this project made it a major success including, for the first time, major corporate gifts of over $100,000 to legal aid. But Mr. Waddell’s efforts to aid the administration of justice did not stop with the fund development campaign alone. He recognized the need to have an organization which could accept and distribute the funds raised to the two legal aid organizations in Arkansas. The Commission itself, being a creature of the Arkansas Supreme Court, could not function in that capacity. 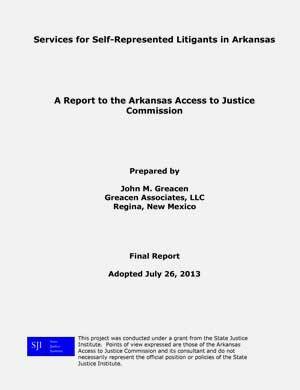 He thus set about preparing organizational documents to create The Arkansas Access to Justice Foundation, Inc. and securing nonprofit status for the organization from the IRS. Mr. Waddell and other members of his firm donated many hours pro bono to this effort. The end result is a permanent operational arm of the Commission that can accept and distribute funds in such a way as to positively impact the access to justice for all Arkansans. Bill is a Fellow of the American College of Trial Lawyers and has served as chair of the Financial Services Committee and the Legal Services Committee of the Arkansas Bar Association. He is currently a commissioner of the Arkansas Access to Justice Commission and is chair of the commission’s Pro Bono Committee. He is also the president of the Arkansas Access to Justice Foundation. He recently received the 2013 Living Legend Award from Philander Smith College for his social justice work. On November 18, 2010, Walmart and the Walmart Foundation announced a joint gift of $115,000 to the Arkansas Access to Justice Campaign. The generous gift is the largest donation in the history of the campaign. $75,000 of that amount will be used for the provision of civil legal services to low-income Arkansans. “On average, it costs our legal aid providers about $500 to handle one case, so a gift of this magnitude will will make a substantial impact,” said Amy Johnson, Executive Director of the Arkansas Access to Justice Commission. The remaining $40,000 will go to Legal Aid of Arkansas to continue funding for a medical-legal partnership with Mid-Delta Health Systems. “As a result of the Walmart Foundation’s generosity, we are able to make a positive impact on the health and well-being of patients through legal interventions,” said Lee Richardson, Executive Director of Legal Aid of Arkansas. Walmart has further demonstrated its commitment to increasing access to justice in Arkansas by announcing an in-house pro bono program as the 100th signatory to the national Corporate Pro Bono Challenge. Below is the full text of the press release. 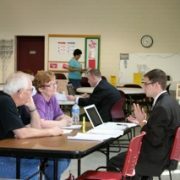 Bentonville, Ark., November 18, 2010 – The Walmart Legal Department announced plans to undertake an in-house pro bono program in which its attorneys, paralegals, and support staff will participate in legal aid projects in the Arkansas community. In doing so, Walmart has become the 100th signatory to the national Corporate Pro Bono Challengesm, a voluntary benchmark developed and administered by Corporate Pro Bono (CPBO), a partnership project of the Pro Bono Institute (PBI) and the Association of Corporate Counsel (ACC), designed to encourage and promote pro bono service with in-house lawyers and legal departments. In addition, the Walmart Legal Department and the Walmart Foundation today announced a $115,000 donation to Legal Aid of Arkansas and the Arkansas Access to Justice Commission. The grant will help the Commission continue its efforts to address key issues raised by low-income clients, including family law, consumer practice, financial, housing, and employment matters. Among the state’s legal aid champions, many believe that Walmart’s program will have a domino effect on other Arkansas corporations. The $115,000 award from the Walmart Foundation will assist Legal Aid of Arkansas in funding its Medical-Legal Partnership with Mid-Delta Health Systems, which serves patients in six of Arkansas’ poorest counties, located in the Mississippi River Delta area. 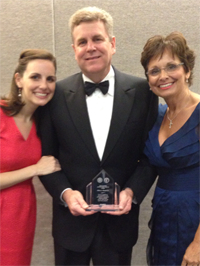 On Thursday September 15th, the Arkansas Bar Association announced that Arkansas Access to Justice Commission member and Arkansas Access to Justice Foundation President Mr. Bill Waddell has been honored with their Lawyer Community Legacy Award. Mr. Waddell has been nothing short of instrumental in the growth of the Commission and a key player in the establishment of the Foundation. Throughout his time at Friday, Eldredge & Clark, Mr. Waddell has devoted countless hours to pro bono legal service in a myriad of legal fields, including over two hundred adoption cases. This award is to honor him for his devotion to Arkansans in need. The Arkansas Bar Foundation presented Commissioner Annabelle C. Imber Tuck, former justice of the Arkansas Supreme Court, with its 2010 “Equal Justice Distinguished Service Award.” The Foundation presented the award on June 10, 2010, during the Arkansas Bar Association’s annual meeting. A statewide award was developed to recognize commitment to and participation in equal justice programs for the poor, including pro bono efforts through legal services programs. The Equal Justice Distinguished Service Award is given this year to Justice Annabelle C. Imber Tuck. In addition to leading an illustrious career as a lawyer, judge, and ultimately Justice of the Arkansas Supreme Court, she has been a tireless advocate for access to justice efforts in Arkansas. Since 1977, she has dedicated her professional career to fostering equal access to justice for those without the resources to afford legal representation. Justice Tuck is a member of the Arkansas Access to Justice Commission, serving in this capacity since October of 2005. She regularly speaks to attorneys and judges throughout the state about the importance of pro bono work. She currently chairs the Commission’s Education Committee and led the planning of the Commission’s first statewide “Promise of Justice Conference.” Justice Tuck played an integral role in the completion of the Commission’s DVD entitled “Forging the Road to Civil Justice.” In addition, she presented the Commission’s proposal to the Supreme Court to allow members of the Commission to establish the Arkansas Access to Justice Foundation, Inc. It gives me great pleasure to present this year’s Equal Justice Distinguished Service Award to Justice Annabelle Imber Tuck.